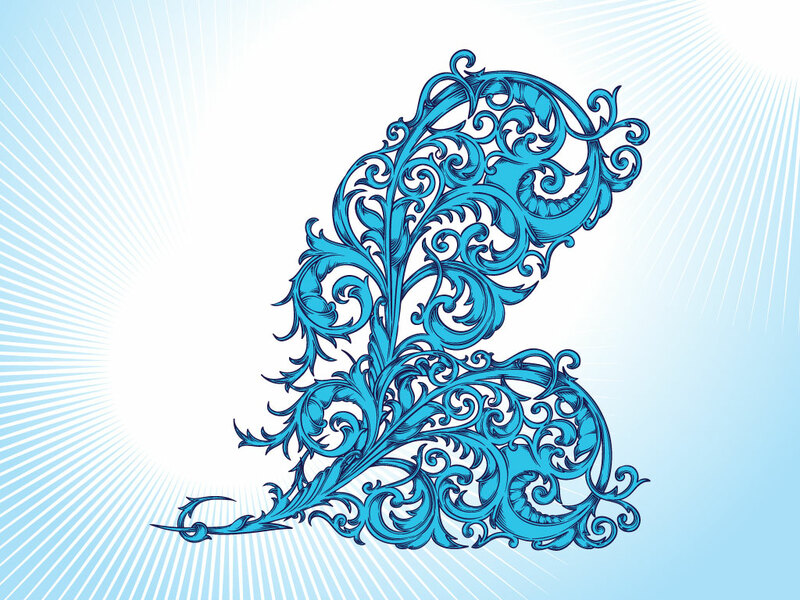 Download this classic scrolling blue flourish for your designs. Plumage and flourish are standard elements in modern t-shirt and poster design. Add this beautifully crafted vector to your clip art collection. Tags: Decorative, Floral, Flourish, Ornamental, Ornate, Victorian, Vintage.